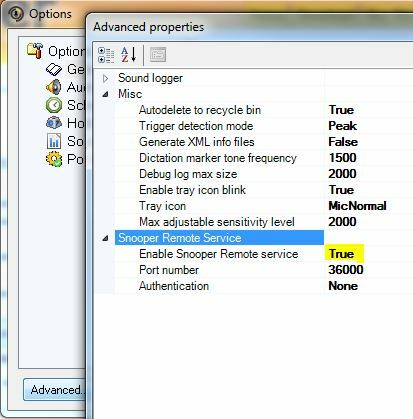 Snooper Professional Remote Monitor is a free tool that can monitor remote or local instances of the Snooper Pro software over the network. Useful for home surveillance, baby monitor, allowing trainers and supervisors to monitor agents calls etc. 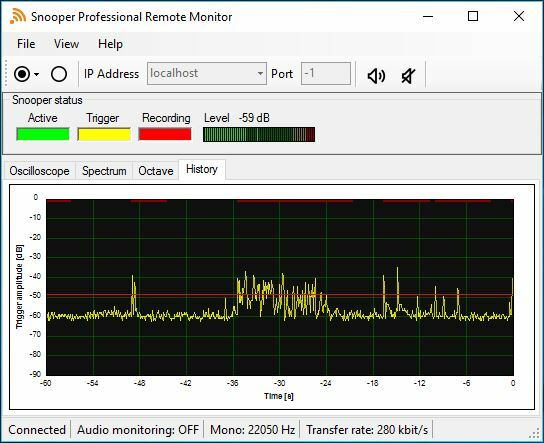 Monitor audio when calibrating filter and AGC settings or checking service instance of Snooper Pro on the local computer. Start several instances on local computer to monitor locations where Snooper Pro is installed. Use the audio monitoring feature to listen in to live audio data. Make sure the Snooper Professional program has the Snooper Remote Service enabled and make sure that the appropriate port is opened in firewalls. Enable Windows authentication if you want to limit access to the Snooper instance. 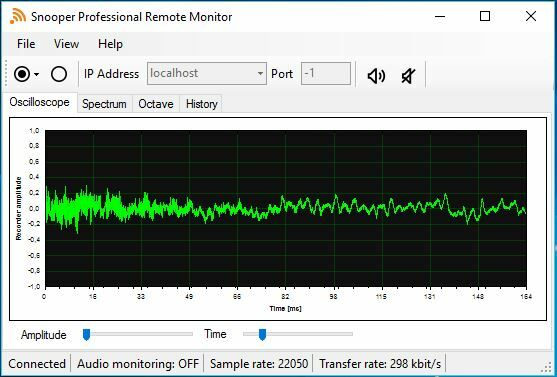 Remote Monitor is a free tool and current version is 1.3.8 and can be downloaded here. Requires latest version of Snooper Professional or Snooper Multi channel.